The interior of your home is an area that gets a lot of attention. The entrance to your home is a precious space, a blank canvas that is an aspiring amateur home improvement specialist’s dream. 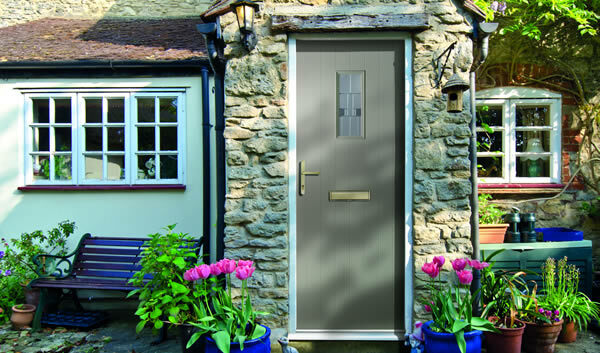 A beautiful entrance can impress guests and can add value to your home to entice potential buyers. We’ve collected a few easy ways to modify the entrance of your home. The fresh morning air, birds chirping, the smell of fresh cut grass, spring truly is a beautiful time. 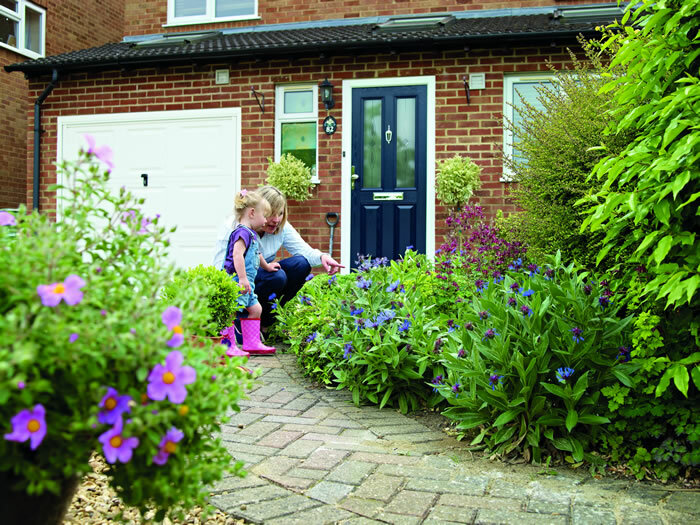 Make the most of the season by adding brightly coloured flowers to spruce up your home’s entrance. Adding flowers in pot plants, such as Tulips and Hydrangeas, require regular watering but are resilient making them the ideal choice for homeowners looking to boost their home’s curb appeal with minimal maintenance. 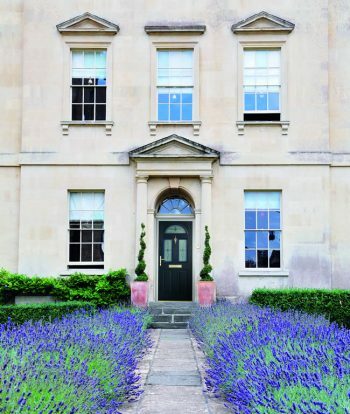 If you’ve got the space and the time, planting bedding plants, such as Pansies and Hyacinths, have long been British favourites and are guaranteed to make your home stand out above the rest. Most of these should be planted in early autumn and will light up the front of your home with colour as soon as the weather warms in spring. 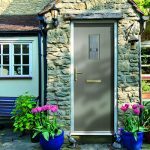 If it’s time to update your front door, our range of doors, such as composite and uPVC, come in a range of colours and finishes to complement your home perfectly. 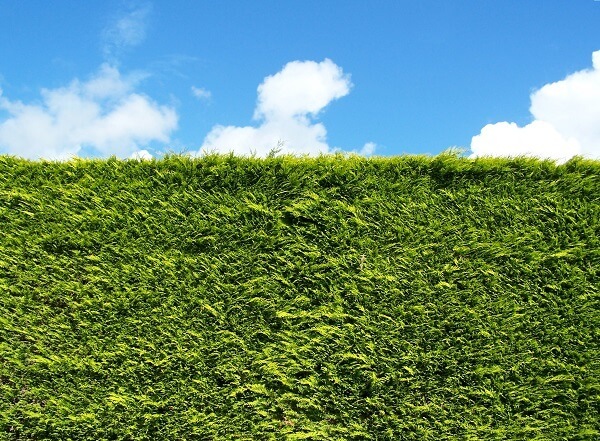 Hedges are a brilliant way of adding a natural aesthetic to your home. 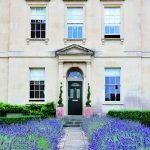 Hedges are an excellent way of adding a natural aesthetic to your home’s entrance. 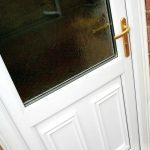 They can also be a deterrent and a good method of protecting your home from burglars. Planting a hedge requires a row or 2 of plants to achieve the thick bushy appearance they are so well known for. Check your local garden centre or home improvement retailer for the type of plant, such as Berberis, to suit your home and be sure to make note of the correct method of planting. 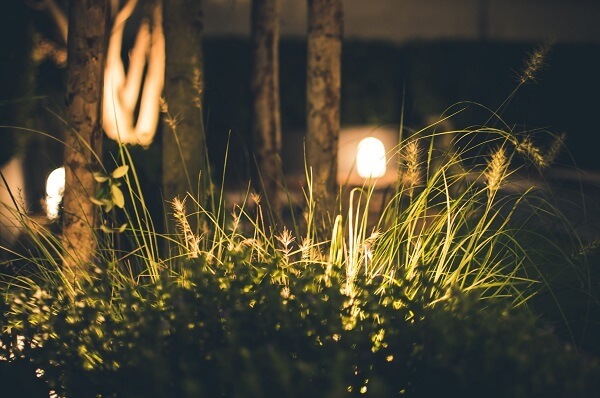 Create a truly unique look by adding lights to the path to your front door. Lights that plug into the mains are available, some can even be adjusted using an app on your smartphone. The most common and affordable choice for many homeowners is solar powered lights, saving you the need for wiring and outlets. A plethora of solar-powered lights in a variety of colours are available from many home improvement retailers. 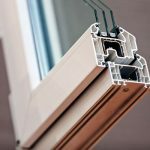 Fitter Windows has been assisting homeowners to complete the home of their dreams for many years. 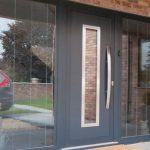 Our friendly team of experts are available to help you with any queries you may have or give you further details on our range of windows, doors, conservatories and orangeries. Contact us or use our online quote system to see what we can do for your home.